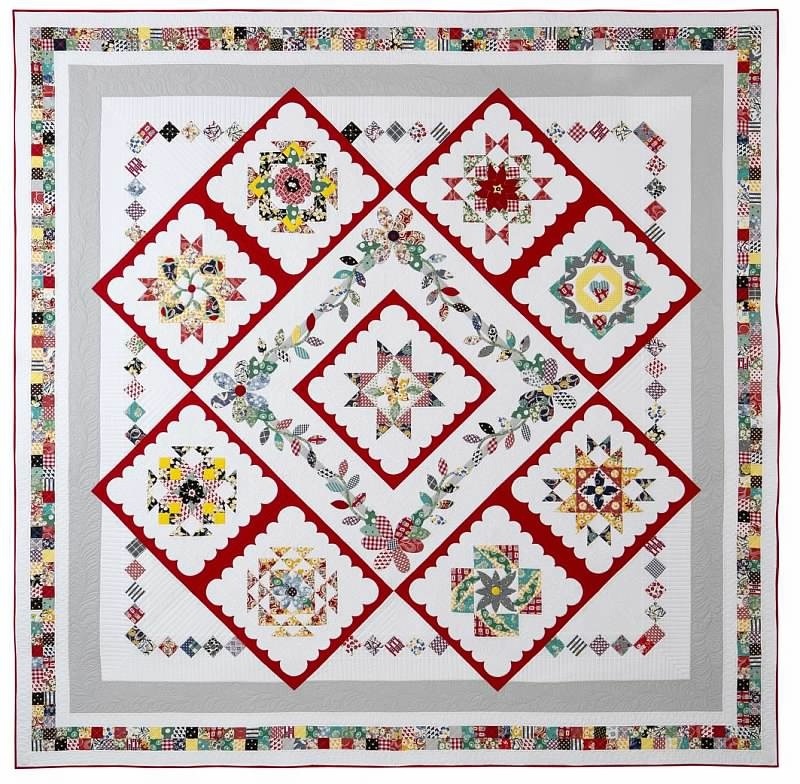 In today’s Kansas City Star Sunday paper, in the House & Home section, appears the final installment of the “Hazel’s Diary” quilt, this year’s 2015 Block of the Month quilt. I’m kinda sad that it’s over. 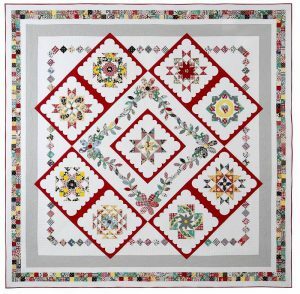 Even more sad that there will be no more Kansas City Star Block-of-the-Month quilts in the Sunday papers. It’s the end of an era. I’m truly honored that my quilt got to be the last one. When the Star first started back up a Block-of-the-Month quilt in the paper back in 2001, you couldn’t have told me then that I’d someday be the author of one of them! Makes me wonder what the next years will bring . . . While you’re over checking out Month 12, look around on the Hazel’s Diary blog. The newest Quilt-Along just started last week, and Tutorial #2 comes out tomorrow. It’s called Triangle Salad, and I think we’re having fun so far! I also gave a sneak peek of the photo shoot we did for the upcoming book. And soon I’ll be featuring some “Hazel’s Diary” quilts made by folks who have been playing along all year. Hope to see you over there!